Our classes are currently on hold as we build out our new location. Please feel free to fill out the form or send us an email and we will put you on our mailing list to be informed when our classes start up again. Our 6-week Wood Carving for Beginners course offers participants the basic knowledge and understanding of the carving process. This is a project-based class that will meet Wednesdays from 6pm – 9pm. 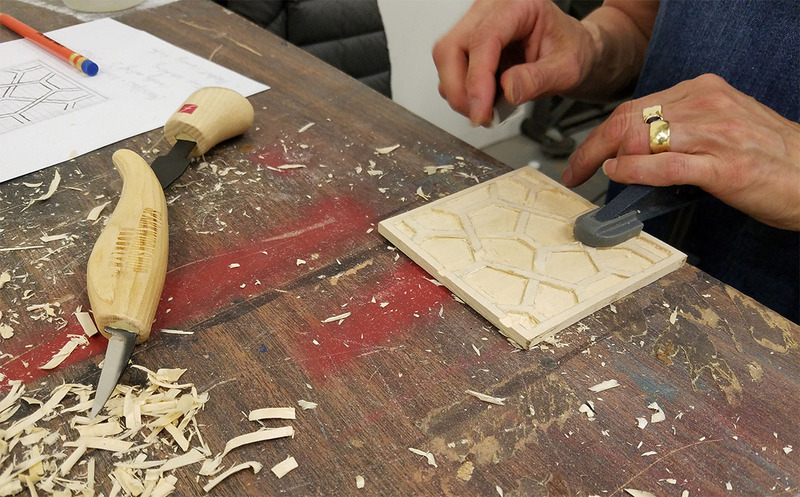 Starting in low-relief, you will learn to use the tools necessary to carve a Celtic knot pattern. 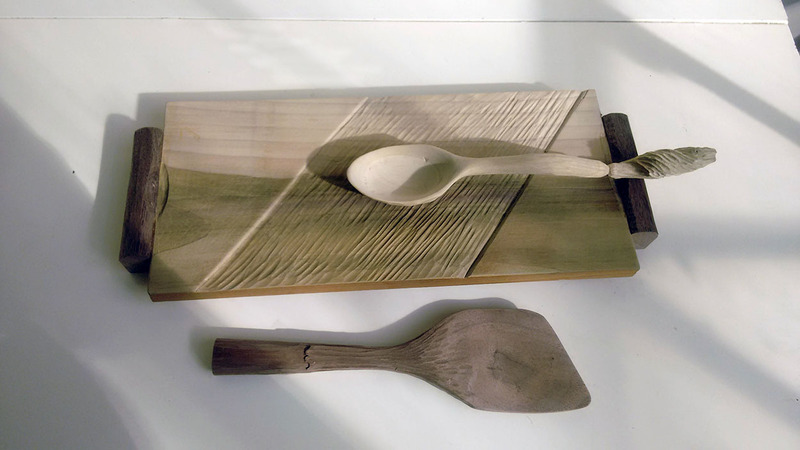 Building on these skills, your second project will be to sculpt a wooden spoon. The materials fee includes a basic carving knife and chisel set to take with you to continue the journey at home. This course qualifies you for a 3-month shop membership once complete. 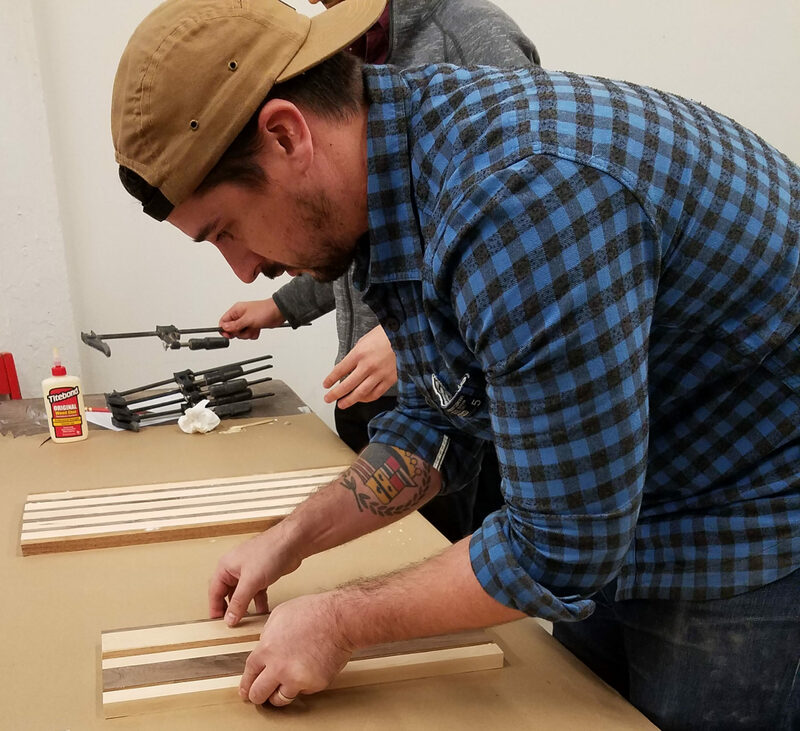 Our 6-week Introduction to Woodworking course will introduce participants to the characteristics of wood, fundamentals of woodworking and workshop safety. This is a project-based workshop that will meet Thursdays from 6pm – 9pm. 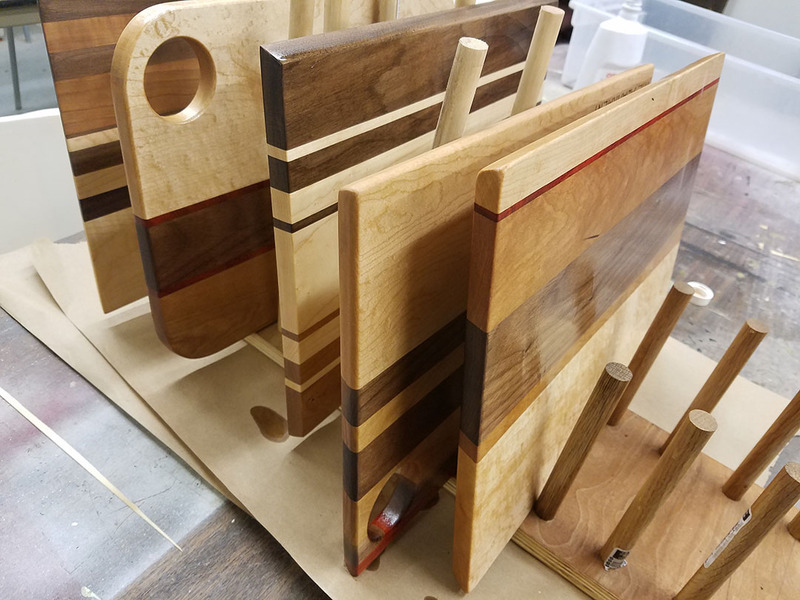 The projects include a custom striped cutting board made from maple, cherry, and walnut, followed by a more complex bandsaw box. This course qualifies you for the 3-month Shop Membership once complete. 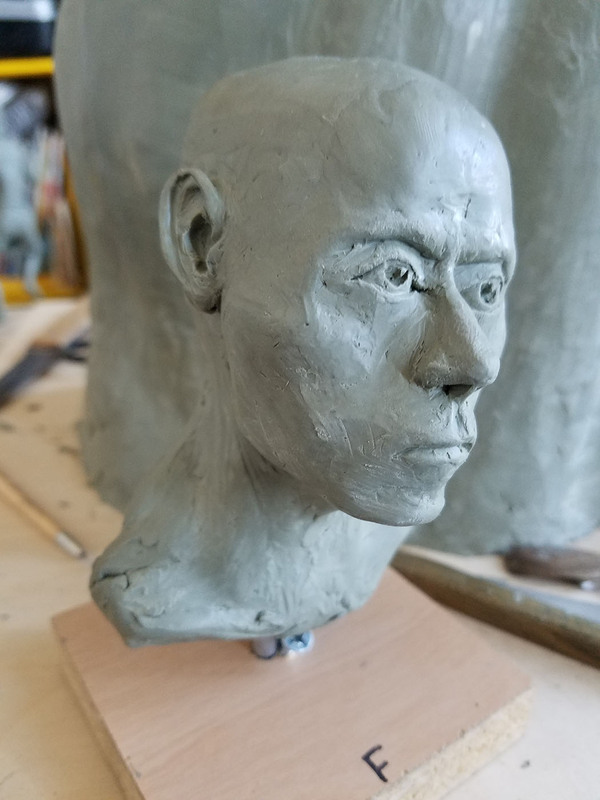 Our 6-week bust sculpture workshop will introduce participants to creating a base and armature and the build up of a human or animal bust, five to six inches tall. This class is open to beginner to intermediate sculptors. This is a project-based workshop that will meet Fridays from 6pm – 9pm. Our weekend workshops are short, two-day courses that run from 10am–2pm on Saturday & Sunday. 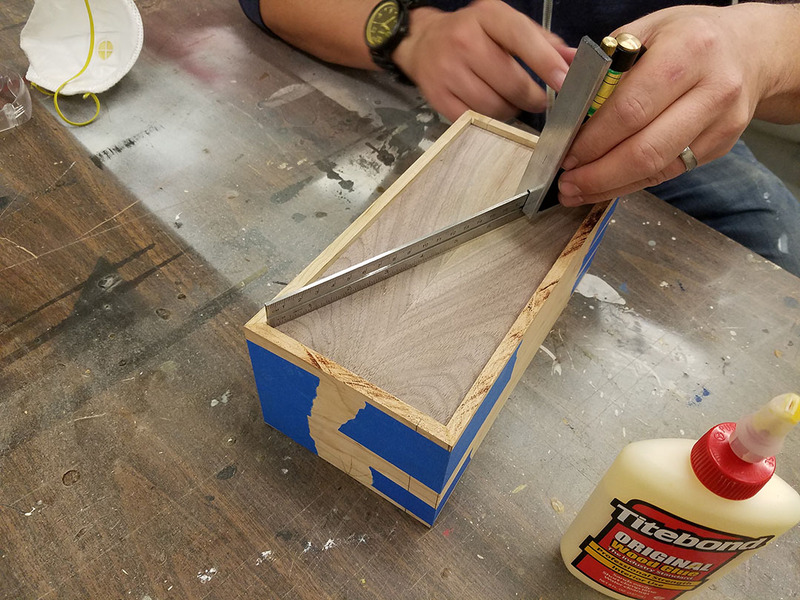 In this workshop, students will learn about woodworking, safe use of the tools and equipment in a wood shop, and the process of making a cutting/serving board. 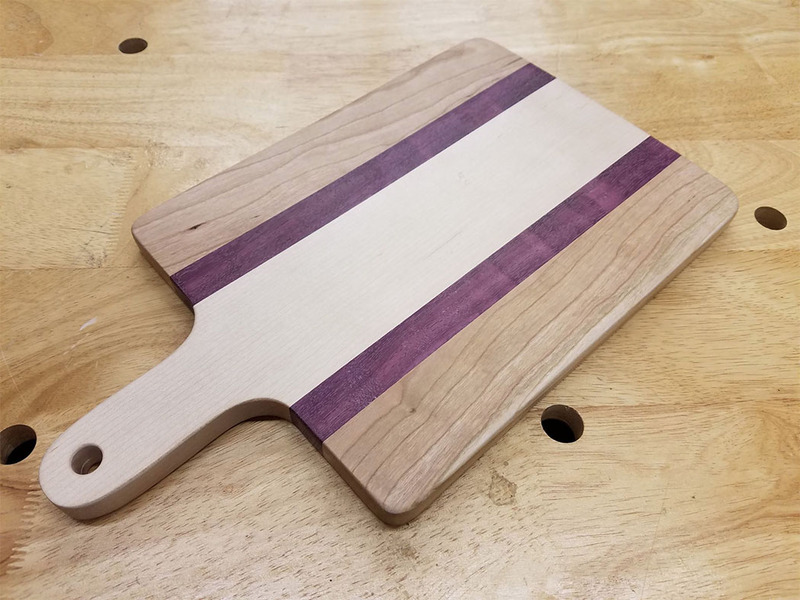 Students will design and complete their own custom cutting board. Keep it yourself or give it as a great, one-of-a-kind gift. If you’re interested in any of our classes, please email classes@sparkworkshopbrooklyn.com to reserve your spot. Class size is limited to a maximum of 8 and will be filled on a first come, first served basis. A minimum of 4 students is required for a class to take place. Payment is due prior to the start of the first class and payable to SPark Workshop Brooklyn by check or cash. Refunds will be issued only in the event that the class can not be held. Interested in holding a class, seminar or workshop in our classroom space? Please email: info@sparkworkshopbrooklyn.com. You will be contacted shortly with more information. Fill out the form below and you’ll be contacted shortly. We are now taking applications for studio space and workshop memberships. View our Membership Plans to see what level of membership works best for you.